Often overlooked, email marketing can be a game-changer if used correctly. Surveys indicate that it can drive up to four times higher ROI than other channels like social media. Part of the reason why this platform is so effective is that potential customers are already in the awareness or consideration stage. Most, if not all, of the email subscribers already know about the brand emailing them, which makes nurturing or closing the lead much easier and faster. They may just need a little push to convert. On the other hand, email can help bring existing customers back to the store for repeat purchases. Whether you’re trying to close a potential customer, nurture an existing one, or increase the customer average order value, newsletters are key to grow a business. Also, this medium is less expensive than paid ads because it just requires a small budget to pay for the newsletter platform. 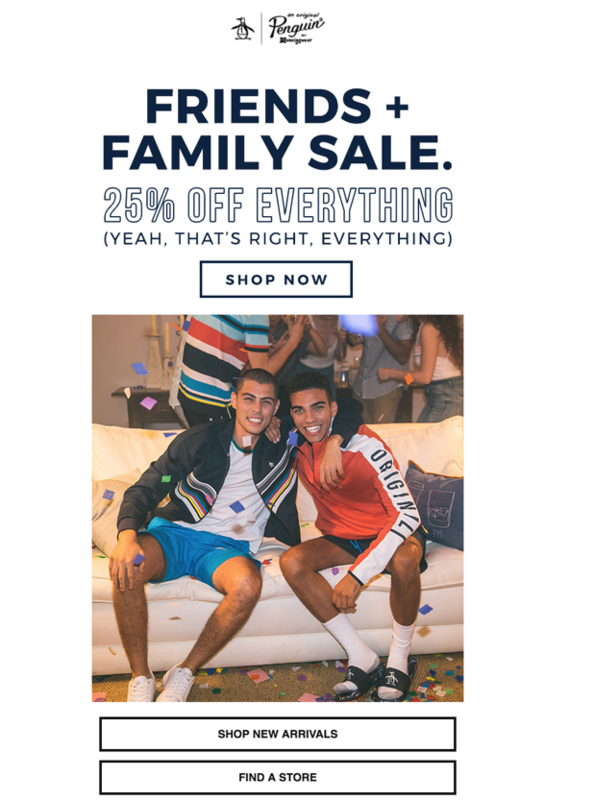 Unfortunately, many retailers are hesitant to try newsletter marketing because the creation, maintenance, and optimization of the campaigns can be confusing and time-consuming. That’s why we created this guide—to help eCommerce retailers like you succeed in email marketing. Let’s get started! This is one of the most important steps in the email marketing process. Without email capture, there wouldn’t be an email list or subscribers to send emails to. Thus, it’s vital to have an optimized email capture process to ensure the most subscribers are captured. Such an easy tool can help multiply subscriptions quickly if there is enough traffic. There are many tools that can help you set up such pop-ups fairly easily. SumoMe is one of the most popular ones, and it allows you to do A/B testing and set up other interesting triggers to show different messages to visitors landing on different pages or coming from different sources. As defined by Campaign Monitor, segmentation is the division of email subscribers into smaller segments based on set criteria. These criteria can be based on demographics, geographic areas, lifestyles, interests, behaviors, or others. The idea is to identify common denominators among sectors to create smaller groups that have things in common. By segmenting your list, you’ll be able to cater to the needs, doubts, and desires of individual segments, instead of sending general email messages that might not be relevant to all recipients. For instance, let’s say that you target independent buyers and businesses that buy in bulk. The language and specials for each segment will vary. Thus, your list should be segmented between individuals and businesses so you can handpick each segment as needed. Another useful segment is based on average order value. Separate the top or big spenders, from your other customers, to offer them special discounts and perks. The idea is to increase repeat orders from customers that can have a higher impact on your bottom line (big spenders). You can also segment your email list by the last purchase date. This type of segment will allow you to send timely messages for your customers to come back to your store. For instance, create different segments for users that haven’t purchased in 30, 60, or 90 days. Imagine having to manually send emails according to the segmentation mentioned above. You’d have to work a full day just to keep up with all the different lists. This is where automations come in handy. They will allow you to send timely and tailored messages effortlessly. As the name implies, automations are automated email campaigns. They are triggered by a specific logic that is set in advance. 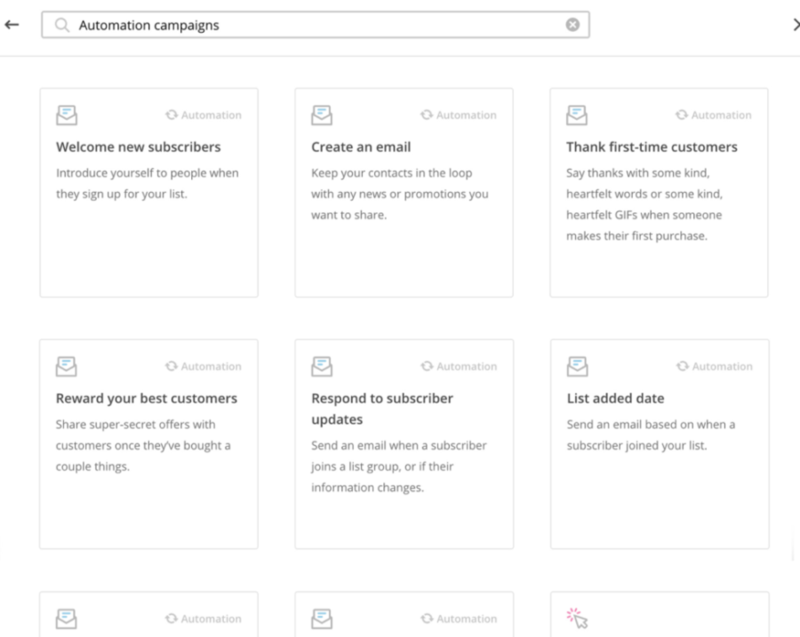 For instance, you can create an automation for all that subscribe to your newsletter so they can get a welcome email. In that case, the trigger would be an email subscription. Welcome Triggered when users subscribe to a newsletter list, so they can feel welcomed and you can advertise specific products. Abandoned Cart. Triggered when visitors abandon their carts, to encourage them to finish their transactions. Post Purchase. Triggered after a purchase to get feedback from the customer. Haven’t Purchased in X Days. Set up to send timely messages for customers to come back to make another purchase. Keep it short. If the email subject is too long, it will get cut off on desktop and mobile. As a rule of thumb, try to make the subject line fit on mobile since the space is smaller than desktop. Use personalization. Insert personalization tags like first names to make your ads more personal and appealing. Use emojis when possible. Some studies indicate that emojis can increase open rates. Create urgency or curiosity. Questions or deadlines can help! A/B test. As with any other effort, A/B testing is a must to make data-driven decisions. Consider prime sending times. Weekends and Mondays are not usually ideal for sending emails.